While there has been no official government explanation to the MH370 flight mystery that dominated the news for months after it occurred, experts on Australia’s 60 Minutes have put together what seems to be the most sensible re-creation of events that could explain the mystery of the missing plane. 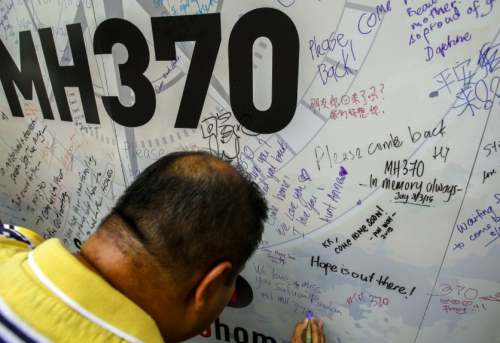 Stunningly, experts agree that flight MH370 may have come down as an intentional act of mass suicide. The report was picked up by the Washington Post on Monday, who explained that "the plane's 2014 disappearance and apparent crash were a suicide by the 53-year-old [pilot] Zaharie — and a premeditated act of mass murder." As for the silence on board, experts believe that the pilot depressurized the cabin on purpose, knocking everybody on board unconscious (who was not wearing an oxygen mask, which it is assumed the pilot would have been wearing). 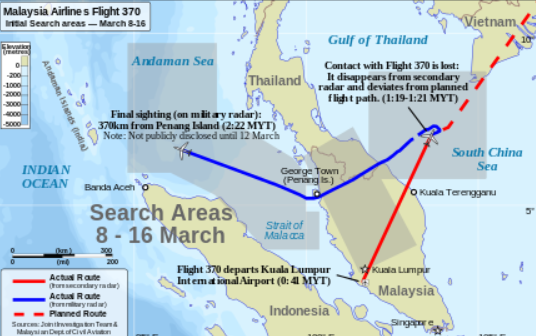 As the report put it, "that would explain the silence from the plane as it veered wildly off course: no mayday from the craft's radio, no final goodbye texts, no attempted emergency calls that failed to connect." The entire 60 Minutes piece can be viewed here. Aviation agencies around the world should draw up new rules requiring medical workers to warn authorities when a pilot's mental health could threaten public safety, French investigators recommended Sunday after a yearlong probe into the Germanwings plane crash. The French investigation found that Germanwings co-pilot Andreas Lubitz, who had been treated for depression in the past, had consulted with dozens of doctors in the weeks before he deliberately crashed a jet into the French Alps on March 24, 2015, killing all 150 people on board. Again, this re-creation of MH370's events were put together by aviation experts and not by any governmental agency, but the postulations seem to be one of the only plausible stories that, frankly, makes any sense.